The Caladium is a tropical plant, known for their colorful foliage and can be used as houseplant or bedding plant. Want to know more? 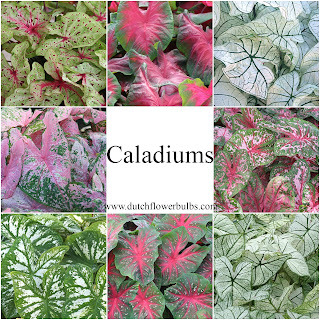 Keep reading..
Caladiums are original from Costa Rica, just like their family the Elephant Ears. They are real showstoppers and stand out from the crowd thanks to their heart-shaped, colored big foliage. Caladiums prefer shade so search for a shady spot with a light touch of sun. Make sure the soil is moisted, well-drained and hummus rich. Plant them with the smooth bottom down and with the pointy tip up. Caladiums exists out of leaves, so a regular fertilizer is enough. Water them regularly and keep the soil slightly moisted. Especially when planted in the sun they need more water. Layer the hole with mulch to keep your soil moisted. When you live in the warm South you can leave your Caladiums in the ground. But when living in the North you gotta dig them up in early Fall if you want to replant them next year. 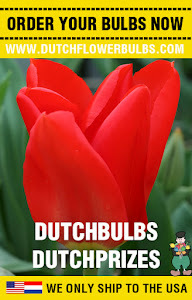 Clean the bulb from dirt and cut of the remaing foliage. Store them in a dark, dry and warm place. Plant them in dry peat moss. The next Spring you can put them back outside, when all the danger of frost has passed us.